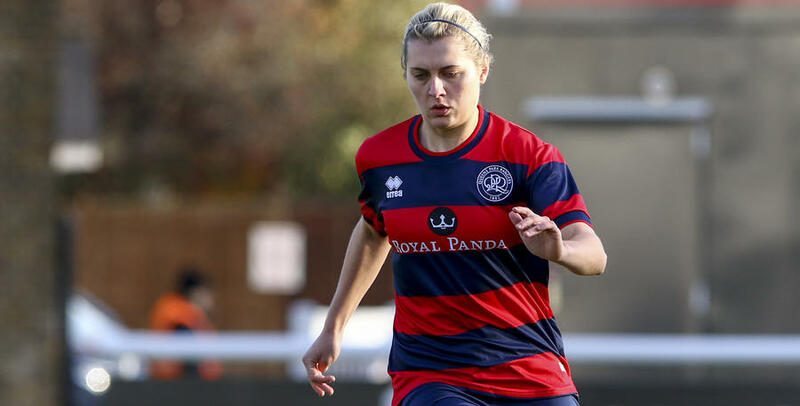 HELEN Ogle’s hat-trick helped QPR Ladies make a winning start to 2018 in The FA Women’s Premier League on Sunday. 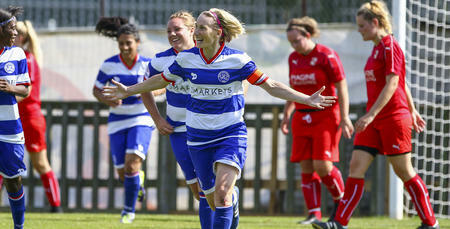 Ogle – scoring her first goals since signing from Basingstoke Town – netted twice inside the opening half an hour against Swindon Town to give Rangers a healthy half-time lead in Wiltshire. It didn’t take the striker long to complete her hat-trick, either, firing home the R’s third six minutes into the second period. Kasha Petit added a fourth goal just after the hour-mark as Martino Chevannes’ side cruised to their first away league win of the season. 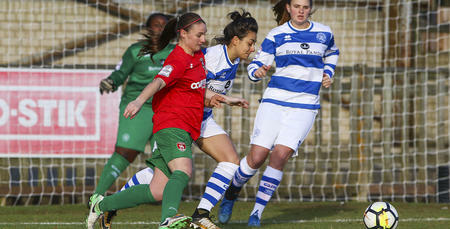 Swindon mustered a late consolation through Mia Mugford’s stoppage-time strike, but the day belonged to Ogle and co. Victory sees Rangers complete a league double over the Robins, whilst moving them seven points clear of their opponents at the foot of the FAWPL table in the process. 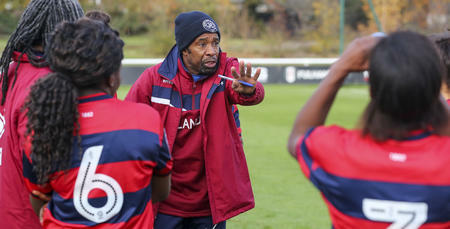 QPR Ladies: Dolbear, Glynn, Petit, Odeniyi (Peacock 66), Deluca, Bytyqi, Knell, Lynch (Bradley 72), Hogan (Roberts 60), Maggs, Ogle. Goals: Ogle 17, 27, 51, Petit 62.